Are you learning how to create a website? In this post, we’ll talk about some carefully picked web apps that can be used by web designers for saving their time and helps them achieve a lot more. The web design industry keeps on evolving constantly, and new trends are being introduced. This makes the process of designing a painful task for designers, as they need to cope up with the rapidly changing needs of the web. Fortunately, along with the incessant changes in the web industry, a lot of tools are also being developed that help in creating web solutions an easy job for the designers. In this post, we’ll talk about some carefully picked web apps that can be used by web designers for saving their time and helps them achieve a lot more when they are creating a website. If you want to turn your sketches or mock-ups into functional prototypes for the web and mobile platforms (like Android, Apple Watch, etc. ), then Marvel is the right choice for you. This is a free to use web application that helps in creating prototypes in no time, and without having you to write any code. Prototypes created using Marvel can be easily accessed on all types of mobile browsers. What’s more? This tool helps in effective collaboration, and thus it is ideal to be used for projects that requires you to work along with your team. Do you love to experiment with images and vector-based graphics? If that’s the case, then Sketchpad 3.7 is worth a try. With this drawing application, web designers can edit and play around with images and vectors. This web app allows you to edit and share your creation. Using SketchPad, you can draw simple sketches, edit graphics, create annotated drawings, and much more. If you’re a logo designer, and looking for an online resource that enables you to create high-quality vector graphics consisting of logos, buttons, icons and other web elements, then YouiDraw web app best suits your needs. This application is primarily designed for helping designers create beautiful logo designs with help of a wide variety of effects (like color, text or any other effects). It provides templates to help novice designers create cool logo designs, and also offers sophisticated tools for experienced professionals to address their logo creation needs. Once you’ve created your design using this app, it can be stored in the cloud and can be downloaded later in different formats. Are you looking for inspiring color combinations for your web design project? Then look no further than Adobe Color CSS. Previously known as Adobe kuler, Adobe Color CC helps to capture, store and share amazing color themes to fit your needs. In order to use this application, you just need an iPhone/iPad or some image to discover or create an appropriate color theme(s). If you’re working on some sort of data visualization project that requires you to create complex and interactive info-graphics, then Dramatic.io web application is exactly what you need. It provides an easy-to-use interface and 9 pre-built templates to get started with your project. Additionally, it even lets you store and export your creations on Google Drive. Do you want to launch your website design to the world, but aren’t confident about it? It would be better if you’ll test your site and check if it meet all the aspects before making it available for the world. This is where Launch-list Pro comes in handy. This web app enables you to create your own checklist for judging whether your work meets all the prerequisites or not. This application even allows you to test your site when working with a team, and enables you to send reports regarding it to your team members. Often when creating a website, you might not be sure about which font will best suit your website design. In that case, using Typetester online web application can help you come to the right conclusion. Put it simply, this app help web designer’s compare the screen fonts. When you’re working on a project in a team, you’ll certainly want to share your ideas and provide feedback related to the project to your team. This can be achieved with the help of Bounce application. It allows designers to create notes on sites, and share their thoughts and feedback regarding the project with their colleagues. Have you just seen a font in some website and want to know about it? All you have to do is to submit the image of that font to WhatTheFont, and it will help you find the one that matches the font in its database. 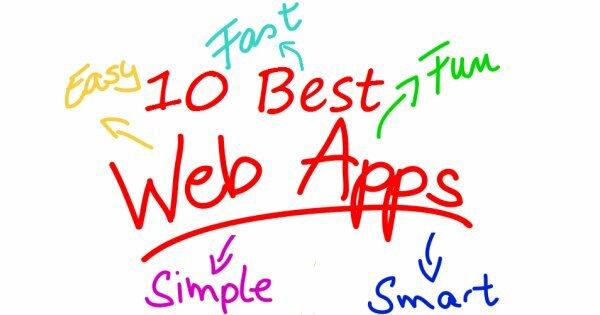 So, that going through the list of aforementioned web applications will help designers, save their time and improve productivity.